Hello my name is Kitara and I am a Youth Intern at VOICES Sonoma. My first job was providing services like removing invasive plant species and beach cleanup with the Youth Ecology Corps. I would have to say that the most valuable life lesson I have learned so far is that although you may not be able to change the way people treat you in life, you have the power to change the way it impacts you emotionally. My idea of happiness is the sense of adventure that comes when trying something new like food, exploring nature, or learning a new skill. If I had unlimited funding I would create a program that provides opportunities such as summer camps, sports, playing an instrument, traveling, etc. to impoverished children in urban communities. You can reach me at kitara@voicesyouthcenter.org. My first job is working at the SRJC as an LGBTQ intern for VOICES Sonoma. Spirituality has been able to make me feel in tune with my emotions that for once allows me to take action to have self-love. That for me has been a valuable lesson that I didn’t think I would have this early in life. My definition of happiness is being not only kind to others, but yourself too. Being able to do the things you love without fear. A project I would create with unlimited funding would be an LGBTQ LatinX group for all ages, as someone who is part of both communities it is hard to connect with our roots even more when we try to connect with those who are LGBTQ since there aren’t many spaces to really connect with folks which makes many of us think we are alone. You can reach me at felix@voicesyouthcenter.org. Hi my name is Takota and I am a Youth Intern at VOICES Sonoma. For my first job I worked as a service specialist at Lucky’s. The most valuable life lesson I have learned so far is that in the near future, your obstacle will be something in the past that you have overcome and grown from. My definition of happiness is to cheese so hard that it's contagious and laugh until people are laughing at you or with you. If I had unlimited funding I would want to create a program with no barriers or limits so that anyone could access the program and the services it could provide. You can reach me at takota@voicesyouthcenter.org . Hello, My name is Kerri Newlin and I am a Youth Advocate at VOICES Sonoma. My first job was a yogurt shop down the street from my house after I graduated High School. The most valuable life lesson that I learned is that the only opinions that matter are from people who matter to you, and all the others are just noise. With unlimited funding I would go to college to get a degree, find my passion and purpose for life. My definition of Happiness is complex due to the difficult relationship I have with happiness. That doesn't mean I lack in happy feeling, I just have a challenging time recognizing and remembering times of joy and positivity. I am working on becoming more perceptive of those moments and being present for them. You can reach me at kerri@voicesyouthcenter.org. My name is Kayla Dias and I am a Peer Mento for the Alchemy Project at VOICES Sonoma. My first job was at McDonalds in Cloverdale. The most valuable life lesson I have learned so far has been to take risks and push myself. Even if it is uncomfortable and scary at first, I have done the most personal growth stepping out of my comfort zone. My definition of happiness is the overwhelming feeling of amazement and joy I feel when I am surrounded by things I love like family, mountains/nature, cats/dogs. Something that brings you so much love and joy that you cant help but stop and feel it in your soul. If I had unlimited funding, I would also want to open a Recovery center for all people to create and explore their own journey through recovery from an array of different things. It would include programs that provide quality/accessible mental health services to people. Focusing on mindfulness, peer-to-peer support and client's needs. The center would also provide housing that would help decrease the number of people that are currently homeless and provide them with sustainable job opportunities. It would also include a program to rehabilitate animals and provide healing to the clients seeking services. You can reach me at kayla@voicesyouthcenter.org. My name is Bethany McCue and I am a Youth Intern at VOICES Sonoma. My first job was as a dishwasher at the Bohemian Grove. The most valuable life lesson I have learned is that life is now. My definition of happiness is seeing people I care about happy. If I had unlimited funding, I would help homeless people and animals. You can reach me at bethany@voicesyouthcenter.org. Hi, my name is Joshua Castellanos-Rose and I am a Youth Intern at VOICES Sonoma. My first job was working in the recycling program at Conservation Corps North Bay in Cotati. The most valuable life lesson I have learned so far is that personal growth and development requires making the choice to give attention and put effort into the areas one wishes to grow and develop and that learning something new often requires the humility to not let what one thinks they already know get in the way of what they would like to learn. Happiness for me currently resides in the knowledge that I am in the process of making progress on a growth oriented trajectory in terms of learning more about and moving towards working in a field that I am interested in and that I see as being potentially rewarding work. I am interested in exploring and tying together work that incorporates sustainable ecology and horticulture with the social and psychological benefits that come from working in close contact with land in community. If I had unlimited funding I would want to invest in land that could be used to establish a program that would provide youth and people who have had mental health struggles a hands on, skill building based educational and therapeutic opportunity through active participation in work that utilizes ecologically sustainable principles in maintaining land health through working in community. This sort of opportunity is something I would have loved to have had when I was younger and is and idea intend to continue to develop as I gain more experience with this sort of work. You can reach me at joshua@voicesyouthcenter.org. My name is Elke Sandoval and I am the Site Coordinator at VOICES Sonoma. My first job was at my campus bookstore. Go beach! The most valuable life lesson that I have learned so far is to go through life with “it will work out.” That does not mean everything will happen the way I want it to, but regardless of what happens I will find a way to get through it. My definition of happiness is a warm puppy. If I had unlimited funding I would like to bring various resource centers to South Central LA from Compton all the way to skid row. Several centers where they offer resources like VOICES but it would include services on immigration, soon to be and already young parents, all forms of violence (sexual assault, abuse, domestic, gang), and a program to help formerly gang involved folks get out of the system as well as previously incarcerated people. You can reach me at elke@voicesyouthcenter.org. 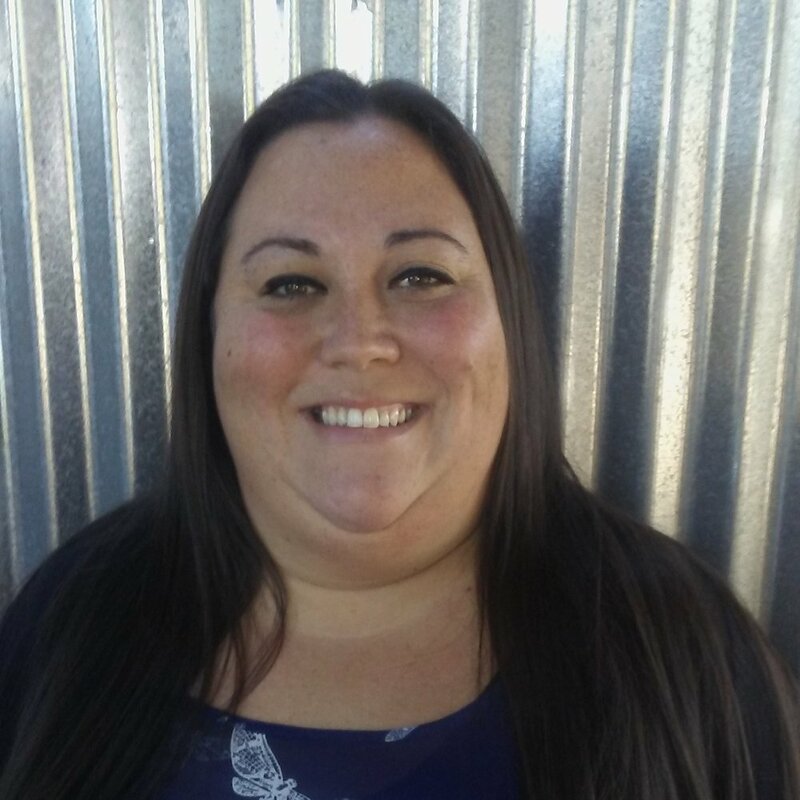 My name is Amber Nakash and I am the Director of Youth Services at VOICES Sonoma. My first job was a babysitter. The most valuable life lesson I have learned so far is that nothing comes without hard work. My definition of “happiness” is laughing with friends and family, boot camp, snuggling with my dogs, pizza, shopping, going out to a nice dinner with good people, playing games and sleeping. If I had unlimited funding, I would create a therapeutic farm with a variety of animals, with an emphasis on donkeys. The farm would also offer free work out classes for staff and the youth. You can reach me at ambern@voicesyouthcenter.org. My name is Gene Calhoun and I am an Alchemy Mental Health Project Youth Worker at VOICES Sonoma. My first job was a paperboy for the Berkeley Gazette. The most valuable life lesson I have learned so far is that there will ALWAYS be another lesson! My definition of “happiness” is remembering that I have a choice whether to be happy or not. If I had unlimited funding, I would create frameworks for alliance building, where people would have the opportunity to get to know people who are not part of “their” group. I would create summer camps and workshops for people of all ages to unlearn institutional and internalized oppression and to create spaces for conversations designed to bring people together. You can reach me at gene@voicesyouthcenter.org. My name is Greyson Gunheim and I am the ILP Program Manager at VOICES Sonoma. My first job was at a Christmas tree farm, when I was a youngster. The most valuable life lesson I have learned so far is that, “if nothing changes… then nothing changes!” My definition of “happiness” is finding your Paradise in any and all situations. If I had unlimited funding, I would create more youth housing and increase it’s availability. You can reach me at greyson@voicesyouthcenter.org. 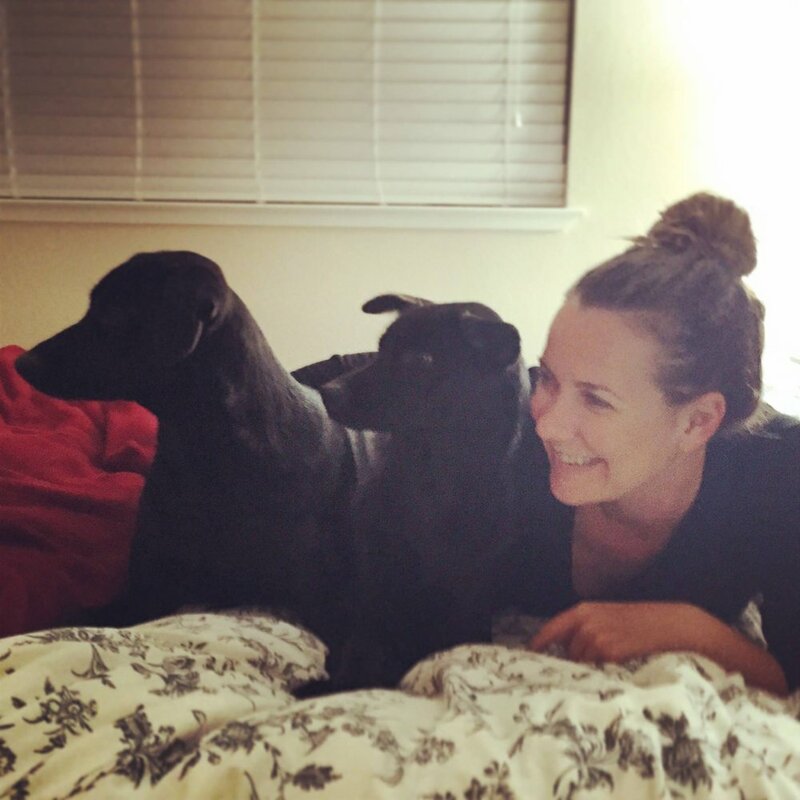 My name is Stephanie Olsen and I am the MyLife Coordinator at VOICES Sonoma. My first job was as a sales associate at a Claire’s Boutique in my local mall when I was 16. The most valuable life lesson I have learned so far is to forgive what hurt you but never forget what it taught you. My definition of happiness is being around those whom I love and who love me. If funding was not an issue, I would create a program that served meals (breakfast, lunch, and dinner) to the homeless from a fleet of food trucks that would drive around cities and give away food to anyone who was in need. You can reach me at stephanie@voicesyouthcenter.org. My name is Amarette Ficco and I am the Health Navigator for VOICES Napa and Sonoma. My first job was with the family business, North Coast Ice Company. I helped bag ice and would go on deliveries with my dad. The most valuable life lesson I have learned so far is being taught me what unconditional love is by having my son. This encourages me to strive for my best everyday. My definition of “happiness” is feeling healthy and well in all aspects mind, body, and spirit. If I had unlimited funding, I would create a wellness center that connects young people to everything that they need to feel healthy and well. I am lucky enough to be working on this right now! You can reach me at amarette@voicesyouthcenter.org. My name is Kelsey Bjugstad and I am the Education Navigator at VOICES Sonoma. My first job was babysitting. The most life lesson is to always be curious, learning, asking questions, and loving. My definition of "happiness" is being around those I love and who love me. I'd love to have an art therapy center where foster youth and community members can come create anything they'd like for free. VOICES Youth Center is a great next option though. You can reach me at kelsey@voicesyouthcenter.org or at 707-583-1668. My name is TJ McKillop and I am the Alchemy Mental Health Project Manager at VOICES Sonoma. My first job was at the age of fourteen. I spent a summer digging trenches as part of the landscaping team at an apartment complex in Sacramento. I haven’t been as exhausted after a workday since that summer. Every day I am confronted by my limitations, by the myriad ways in which I need the help of others. Yet I also find ways to contribute, ways in which I, too, am needed. All in all, the most valuable life lesson I have learned and continue to learn day-by-day is that people need people. My grandmother always told me that happiness is having enough resources to meet my needs, with enough left over to share with others. My definition of happiness is when I believe that we all belong to each other. The difficult part is remembering. If I had unlimited funding, I would love to create a program similar to Homeboy Industries in Los Angeles. A place where young adults might be empowered and equipped to explore vocation, as well as work on their own inner lives at the same time. You can reach me at tj@voicesyouthcenter.org. My name is Pablo Toscano and I am a Youth Staff at VOICES Napa. This is my first job! The most valuable lesson that I have learned in my whole 16 years of life is that family is the most important, friends will come and go, but family is forever. My definition of “happiness” is riding my scooter. If I had unlimited funding, I would create a program to help young scooter riders progress and become the best they can be. You can reach me at pablo@voicesyouthcenter.org. My name is Jesus Flores and I am a Youth Staff at VOICES Napa. My first job was as a dishwasher at Aegis Retirement Home. The most valuable life lesson I've learned so far is that no matter what has happened in your past or will happen in your future, you have to learn to love yourself. If there was unlimited funding, I would want to create Some sort of designated transportation system for youth that need rides to and from the center(s), without having to wait long periods for their own rides (that are possibly busy) or having to ask any staff to take time out of their schedule to take them. You can reach me at jesus@voicesyouthcenter.org. My name is Cecy Torres and I am a Youth Advocate at VOICES Napa. My first job was a cashier at Burger King. The most valuable life lesson I have learned so far is that knowledge is key and education is everything! The more you know, the more you can help others. My definition of “happiness” is to love and to be loved, to be content with your life and who you are. If I had unlimited funding I would develop a program to help undocumented Latino youth and their families. I would help provide bilingual assistance with employment, education, and legal services. This program would seek to improve their lives by removing any barriers that would diminish quality of life. You can reach me at cecilia@voicesyouthcenter.org. My name is Delycia Garcia and I am an Independent Living Program (ILP) Youth Staff. My first job was a Healthy Behaviors Tutor for AmeriCorps. The most valuable life lesson I’ve learned is to never give up and to keep going for what you want. My definition of happiness is being okay with who you are and what you are doing, as well as being surrounded by people who love you and whom you love. If I had unlimited funding, I would develop a program that provides youth full-scope legal help for no cost. You can reach me at delycia@voicesyouthcenter.org. My name is Angel Mackelvie and I am the Site Coordinator at VOICES Napa. My first job was a camp counselor. The most valuable life lesson that I have learned is that confidence is key. It is always important to be confident in yourself and the work you do. My definition of “happiness” is loving and enjoying where you are at and what you are doing. If I had unlimited funding, I would create a program that would provide support to youth with figuring out their schooling and provide them the financial means, mental support, housing options and counseling that is needed to achieve success in school. The program would provide all the supplies that students need while helping each youth make school a priority and helping them overcome any barrier that could impede success whether it is financial, employment concerns, classes, mental health, physical health or housing. You can reach me at angel@voicesyouthcenter.org. My name is Tara Ledezma and I am the Independent Living Program (ILP) Program Manager. My first job was a City of Napa Recreation Leader at Mcpherson Elementary School. The most valuable life lesson I have learned so far is to never give up! There will always be bumps in the road but you have to pick yourself up and move on. My definition of “happiness” is to be loved and to spread love and joy. If I had unlimited funding, I would create housing opportunities and legal services for all young people that needed guidance. You can reach me at tara@voicesyouthcenter.org or 707-363-9487. My name is Andres Cantera and I am the Independent Living Program (ILP) Case Manager. My first job was selling spices in the Oxbow Market at Whole Spice shop through the WIOA program. The most valuable life lesson I have learned so far is to celebrate every accomplishment, because we never know when we will have the next one. My definition of happiness is being overall satisfied and happy with your everyday actions and course of life. If I had unlimited funding I would give the money to fund an even bigger VOICES program that also included housing for youth and extend services, such as AB12, to all youth that could benefit from the services. You can reach me at andres@voicesyouthcenter.org. 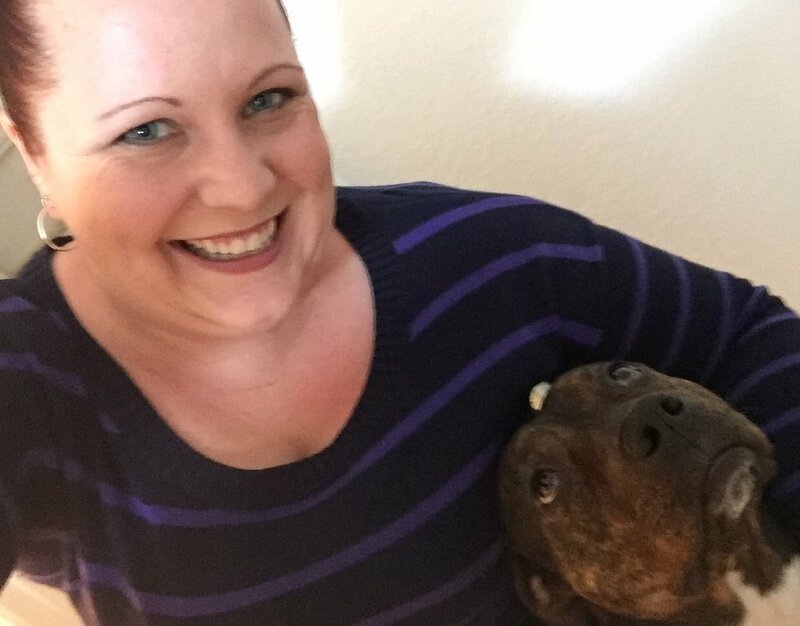 My name is Marissa Hawkins and I am the Program Manager at VOICES Sonoma. My first job was during high school, I engaged in a lot of volunteer work and babysitting. My first real job was working in retail at DKNY located at the Napa outlets. The most valuable life lesson(s) I have learned so far is that although change can be scary it can be the gateway to new opportunities, so it’s better to embrace change with an open mind and an open heart. Also, nothing or no one is permanent so make sure to foster and appreciate the support and things you have in the moment. My definition of happiness is enjoying the company of those closest to me. If there was unlimited funding, I would create something to support single moms either with subsidized child care, a program offering extra supportive services with special incentives such as, scholarships for those going to school and first time home buying support. You can reach me at marissa@voicesyouthcenter.org. My name is Amber Twitchell and I am the Associate Director of On The Move and VOICES Director. My first job was counting electrical tubing inch by inch all day at an electric supply warehouse. I was fired for having too much potential – I apologize to the guy that I got mad at when he told me. You were right. The most valuable life lesson that I have learned is that the moment you feel you have to prove your worth to someone is the same moment that you should absolutely walk away. The only one that needs to believe you are worthy is you. I have found happiness at VOICES – being surrounded by people that love me for who I am, despite my flaws. Knowing with certainty that when I need someone to help me, there will be committed and passionate people ready to support me with no judgment. If I had unlimited funding, I would support all of my staff in building the programs that they dream about (similar to what I already get to do at VOICES – I am so lucky)! You can reach me at amber@onthemovebayarea.org or 707-570-7769.